You haven't seen him in a while, and you reached the point where there's nothing much else to say. 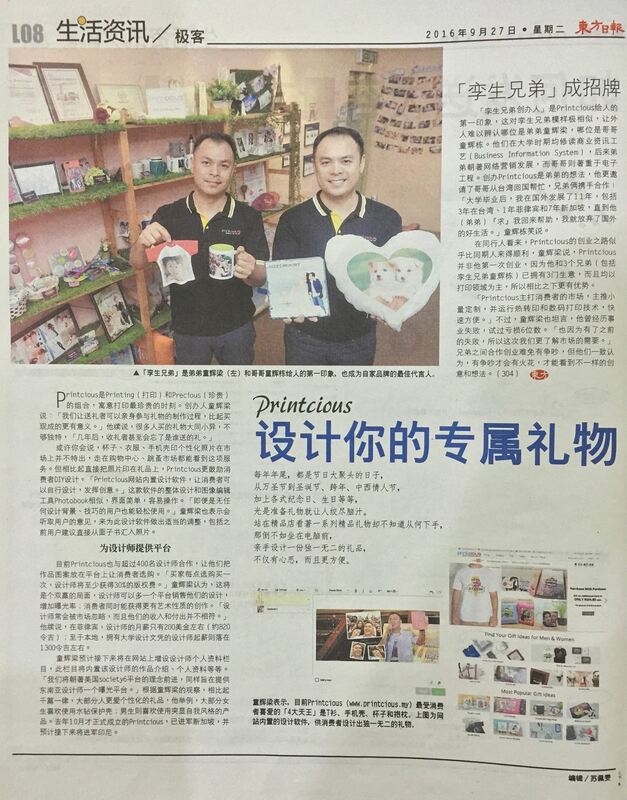 Fix your relationship with Printcious via our unlimited amount of customised gifts available for selection in Malaysia. Particularly our t-shirts for him collection with different materials from cotton to graphic tee. Why stop at these shirts, when you can take it to the next level with our online DIY tool that enables you to design your own tshirt however you want. Proudly wear you own creative design or gift it to anywhere in Malaysia. When you have a Regular Joe as your boyfriend who doesn't really wear anything else apart from shirt and pants in Malaysia, you can still gift him something without hindering his personal taste. Get personalised printed t shirts for him, unique enough to show you care but subtle enough to not be a bother to him. You'll never get tired of browsing our abundance of gifts. Make it more personal and intimate with customised t shirts for him ready to be gifted to anyone you want within Malaysia. Let our creative workforce make your jaw drop with fantastic designs ready to make anyone who sees it fall head over heels immediately. If you're looking for something for your dad then look no further than our selection of gifts in store. Especially our personal photo t shirts that will make any dad grin from ear to ear. Imagine having his own kid gifting him such a special gift, no father will be able to resist such a cute gift.